This Tiger Advancement Excel Spreadsheet is a workbook of FREE spreadsheets developed by Steve Coker, a Tiger Den Leader from Georgia, in the Northeast Georgia Council. 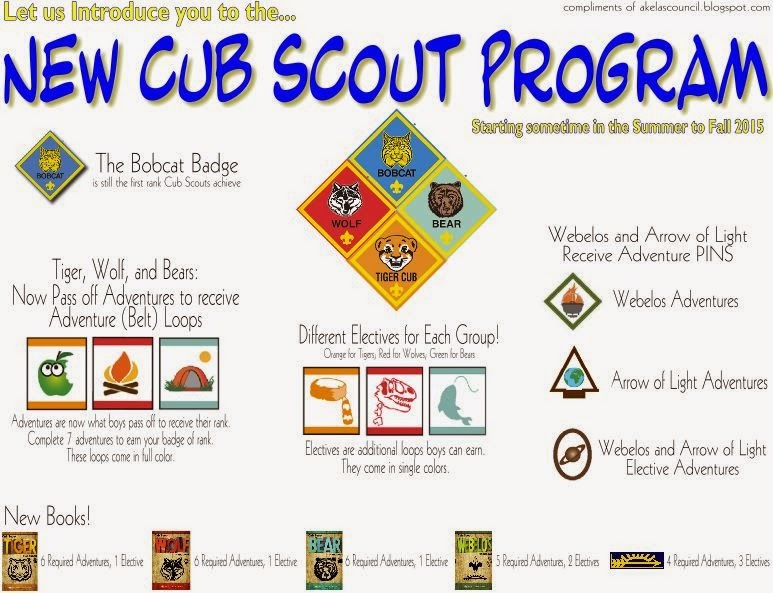 This is for use by Cub Scouters to keep track of scouts advancement using the new requirements being implemented in 2015. Many scouters have used the Cub Trax spreadsheets for the current system, these spreadsheets operate in a similar manner. The spreadsheets have an instructions page with details on how to use them and how to contact Steve with questions. I made a new placemat this year to introduce the new Cub Scout program at the Blue & Gold Banquet. This would be something everyone could read while they were waiting for the Blue & Gold Banquet to start. It would be a great thing to use to get everyone talking. Hope you enjoy it! It is ready to print and put on your tables.